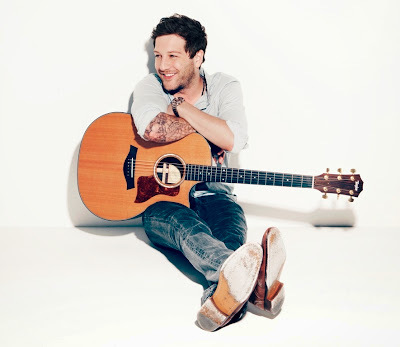 Ayr's X-mas celebrations will definitely have the X Factor this year with 2010 series winner Matt Cardle headlining the music stage in Ayr town centre on Sunday 17 November to switch on the town’s Christmas lights alongside South Ayrshire Provost Helen Moonie. Matt (pictured above) is one of the most popular X Factor contestants, famously winning the public vote every single week – except one – during 2010’s live shows. His debut single, ‘When We Collide’, sold over 1 million copies and spent three weeks at number one and he has since achieved two top 10 albums, four sell-out UK & Ireland tours, launched his own record label and recorded his third album, which marks his first foray into the international music market. He now achieves another first by headlining the start of Ayr’s Christmas festivities at the annual Christmas light switch-on event, with a fantastic free programme of music, entertainment and fun for all the family between 4pm and 6pm on Sunday 17 November. Supporting Matt at this popular event will be Ayrshire musician, Sean Kennedy, who started out as a footballer before finding his natural home in music. Sean’s music career began in a local band before progressing as a solo musician working with the likes of Andy Taylor (Duran Duran), Nik Kershaw and Simple Minds. He performed at the London 2012 Olympics on stage within the Olympic Park and has since released his debut EP (Extended Play). Joining Matt and Sean in the line-up are the fantastic Espedair Street Band, with their wonderful renditions of the best of Scottish contemporary pop music from the last five decades including Texas, Marmalade, Amy McDonald, Fratellis, KT Tunstall, Average White Band, Deacon Blue, Runrig, Kelly Marie, Lulu, Hipsway & The Bay City Rollers! In addition, the Salvation Army will be getting everyone in the Christmas mood with some favourite festive tunes, High Street will be packed with lots of Santas from Ayrshire Cancer Support’s Santa Dash, and local youth drama group, Razzamatazz, will be providing some town centre entertainment. South Ayrshire Council is also offering the chance for one lucky person – and a friend – to win the chance to go backstage at the Christmas lights switch-on and meet headline act, Matt Cardle. To be in with a chance of winning this fantastic festive prize, all you have to do is visit www.facebook.com, search for ‘South Ayrshire Events and Festivals’ and like any of our posts about the Ayr Christmas Lights Switch On. It’s that easy and the winner will be selected at random. The competition closes at noon on Tuesday 12 November and winners must be available to attend the Ayr Christmas Lights Switch On on Sunday 17 November between 4pm and 6pm. All costs in getting to and from the event will be borne by the winner – full terms and conditions on the South Ayrshire Events and Festivals Facebook page.